large tarsorrhaphies might be disfiguring and limit peripheral vision. gold weight (e.g. 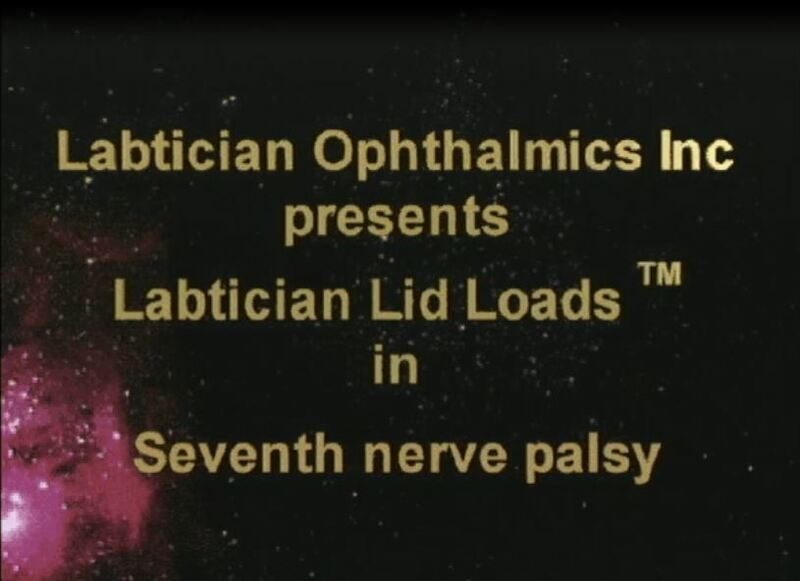 Lid Load) insertion a light (1 mg weight ) manufactured by various companies in weights from 0.6 to 1.6 grams might be fixed to pretarsal space of the upper eyelid. The weights might be taped to the pretarsal portion of the upper lid to determine which size will be needed to reduce the Lagophthalmos. Excess weight might cause Ptosis. Ptosis: Ptosis is sometimes referred to as Blepharoptosis. It refers to an eyelid which is droopy. This might cause a loss of vision, especially while reading, headaches, and eyebrow strain. Please click on the Ptosis page for more details.